When you stay at Miami International Airport Hotel in Miami, you'll be connected to the airport, within a 15-minute drive of Miracle Mile and Marlins Park. This hotel is 6.8 mi (10.9 km) from University of Miami and 6.9 mi (11.1 km) from Downtown Miami Shopping District. 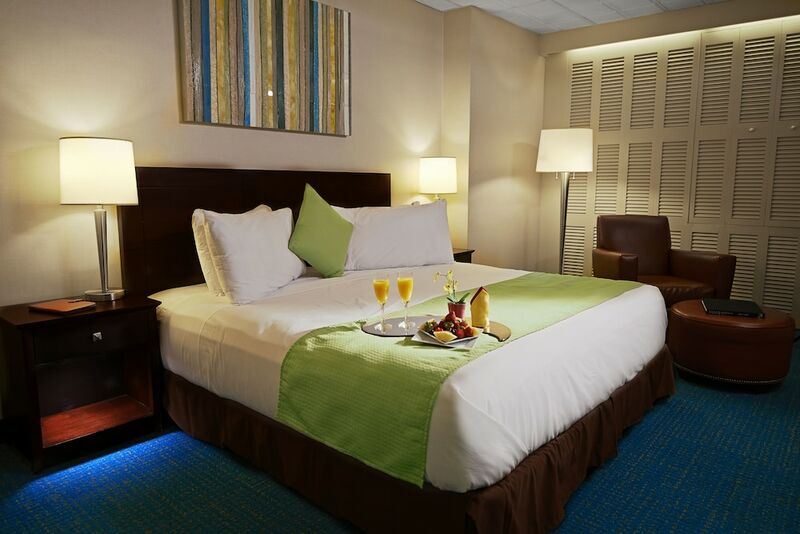 Make yourself at home in one of the 262 air-conditioned rooms featuring flat-screen televisions. Complimentary wireless Internet access keeps you connected, and satellite programming is available for your entertainment. Private bathrooms with shower/tub combinations feature complimentary toiletries and hair dryers. Conveniences include phones, as well as coffee/tea makers and blackout drapes/curtains. Grab a bite to eat at Air Margaritaville, a restaurant which features a bar, or stay in and take advantage of the room service (during limited hours). Cooked-to-order breakfasts are available for a fee. The hotel offers a restaurant serving continental and seafood dishes for breakfast and dinner. Business-related amenities at this 3-star property consist of 3 meeting rooms. This Miami hotel also offers multilingual staff and concierge services. Offsite parking is available (surcharge). Miami International Airport Hotel is a smoke-free property. Air Margaritaville - This restaurant serves breakfast, lunch, and dinner. A bar and kid's menu are also available.